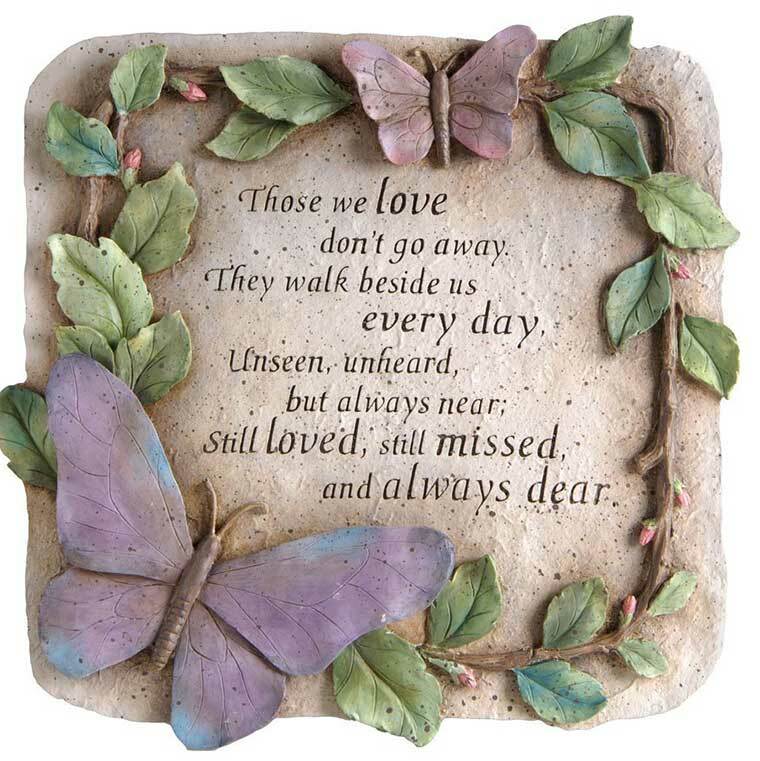 If you need a gift for someone who has lost a loved one, this memorial walkway stone is a great gift idea. It is made of cast stone concrete that looks like an actual stone. The back has a cut out, so It can be placed on the ground or hung. 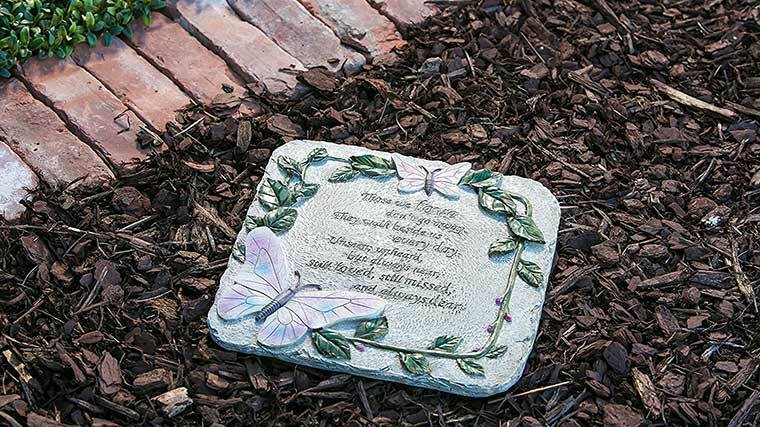 The garden stone itself weights about 4 pounds and measures about 10.8 by 10 inches. Looking for a Pathway Stone for mom? This pathway stone reads “those we love don’t go away. They walk beside us every day, unseen, unheard, but always near; still loved, still missed, and always deer. It is a great stone for pathways or memorial gardens. The stone weights 4 pounds and as 10.8” wide x 10” Tall.